U.S. stocks slid Monday as disappointing earnings and forecasts from bellwether industrial and technology companies sparked fresh worries about global economic growth. 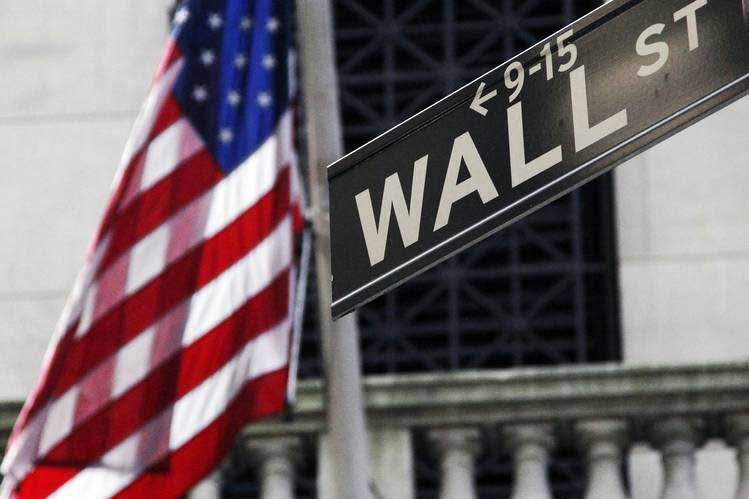 The Dow Jones Industrial Average fell 322 points, or 1.3%, to 24414. The S&P 500 declined 1.2% and the Nasdaq Composite lost 1.4%. Lackluster economic data out of China and the eurozone in recent weeks have painted a picture of decelerating growth around the world, which many analysts say sits at odds with the rally in global stocks over the past month. The latest flurry of earnings-related news added to investors’ sense of unease. Caterpillar shares shed 7.8% after the manufacturer, hurt by slowing growth in China and rising costs, set lower-than-expected profit targets for 2019. Nvidia shares slipped 13%, stung by weaker guidance for the fourth quarter. U.S. companies are still expected to report solid growth for the final quarter of 2018. With results in from roughly a fifth of S&P 500 firms, about 70% of corporations have posted better-than-expected earnings so far this reporting season, according to FactSet. Still, anxiety about the pace at which growth is expected to slow this year has reeled in optimism among many investors. Caterpillar’s warning rippled throughout the industrial sector Monday, sending shares of other manufacturers lower. Engine maker Cummins fell 3.1%, while 3M lost 2% and General Electric declined 3.4%. “More volatility is in store for markets especially given the slower growth outlook for the global economy,” said Ann-Katrin Petersen, investment strategist at Allianz Global investors. Later this week, investors will get a look at the health of major technology firms when Apple, Amazon.com, Microsoft and Facebook report quarterly results. Investors are also keeping tabs on the Federal Reserve, which is expected to hold short-term interest rates steady at the conclusion of its two-day policy meeting this week. “Investors think the Fed will stay where it is for now which is positive for sentiment,” said Craig Callahan, president of investment firm Icon Advisers. Elsewhere, the Stoxx Europe 600 fell 1%, following a mostly downbeat session in Asia. Traders were looking to the latest moves on the U.K.’s planned exit from the European Union. The British parliament is scheduled to vote on U.K. Prime Minister Theresa May’s “Plan B” for Brexit on Tuesday after lawmakers earlier this month soundly rejected her initial deal with the EU. The British pound was down 0.3% against the U.S. dollar. “The outcome of tomorrow’s vote and its implications for the Brexit debate remain uncertain…some position paring is still possible,” analysts at UniCredit said in a note to clients. Shares in Russian aluminum producer Rusal rallied in Hong Kong after the U.S. Treasury Department on Sunday removed the company from its sanctions list. The move came after blacklisted billionaire Oleg Deripaska delivered on a promised plan to divest his majority ownership stake, the Treasury said. In Asia, Japan’s Nikkei Stock Average finished down 0.6% while Hong Kong’s Hang Seng Index was flat.